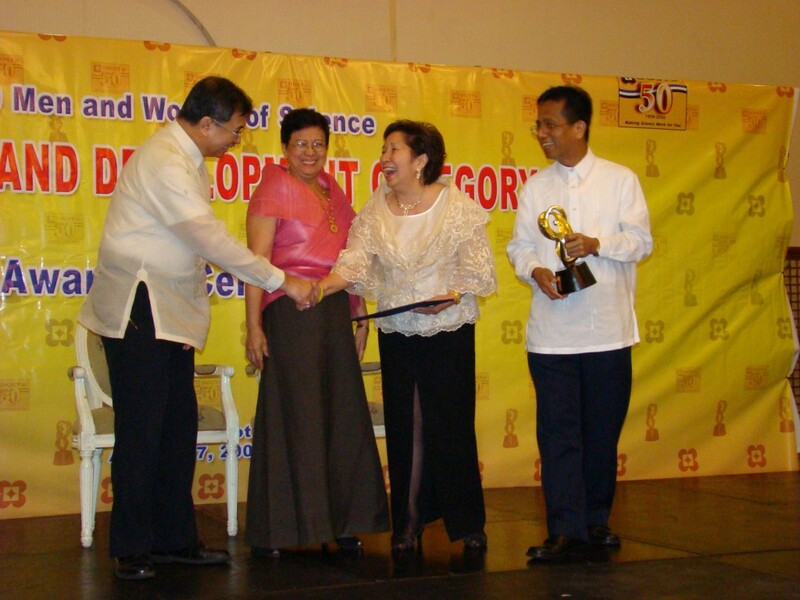 The 2008/2009 Philippine Human Development Report (PHDR): Institutions, Politics and Human Development is a recipient of the Outstanding Book Award for 2011 by the National Academy of Science and Technology (NAST). 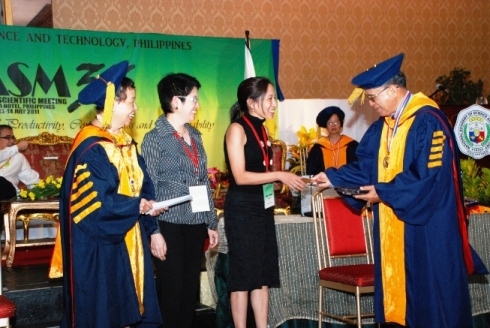 The award was accepted by Dr. Toby C. Monsod, a lead author of the Report, and Dr. Cynthia Banzon-Bautista, co-editor (second from left), during the 33rd NAST Annual Scientific Meeting on July 14, 2011 at the Manila Hotel. Bestowing the award are Dr. Emil Javier and Dr. Merceditas Concepcion, President and Vice President of NAST, respectively. The prestigious NAST awards, given annually, recognize the outstanding achievements and contributions of Filipino scientists and institutions in science and technology. 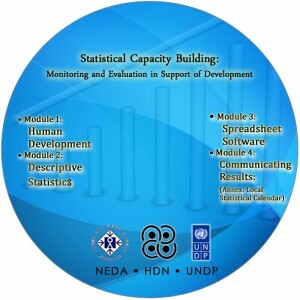 The Human Development Network (HDN) is pleased to announce the release of training modules on Statistical Capacity Building: Monitoring and Evaluation in Support of Development in CD form. The HDN is an independent non-stock, non-profit, non-government organization which produces the Philippine Human Development Report (PHDR), the national counterpart of the Global Human Development Report published by the United Nations Development Programme (UNDP). Six volumes of the PHDR have been published – in 1994, 1997, 2000, 2002, 2005, and 2008/2009 – each of which have put “people” back at the center of the development debate. Past volumes of the PHDR may be downloaded from www.worpress.hdn.org.ph. 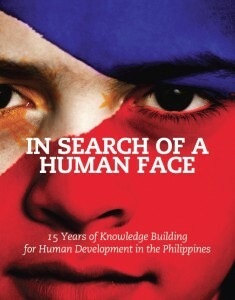 The Human Development Network launched its newest publication entitled, In Search of a Human Face: 15 Years of Knowledge Building for Human Development in the Philippines, on Wednesday, 21 July 2010, at the Diosdado Macapagal Hall of the UP School of Economics. The volume is both a record and an appraisal of almost two decades of research and advocacy by the Human Development Network, a non-partisan, non-stock, non-profit organization founded in 1992. It compiles the theme chapters of the 1994, 1997, 2000, 2002, and 2005 editions of the Philippine Human Development Report and postscripts from third-party experts who reflect on their continuing relevance while also providing fresh insight and augmenting the original analysis. 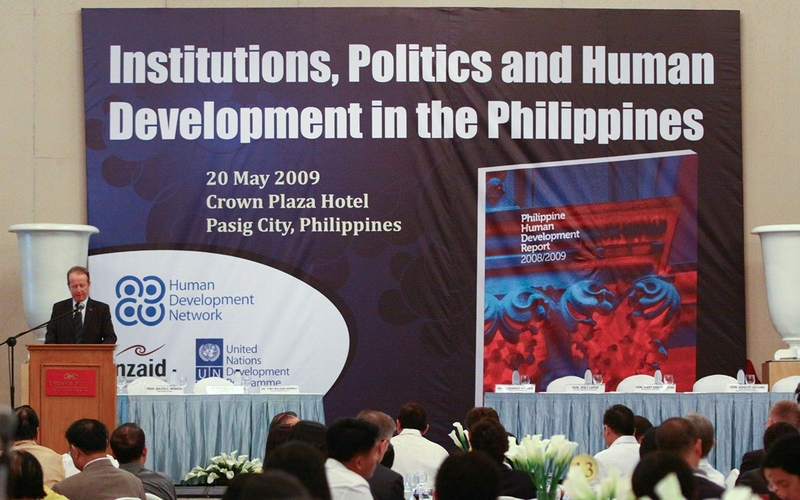 The proceedings of “Human Development in the Philippines: 15 Years of Research and Advocacy,” a roundtable discussion held in October 2009, is also featured. In Search of A Human Face: 15 Years of Knowledge Building for Human Development in the Philippines is published by the Human Development Network in cooperation with the United Nations Development Program. The Human Development Network (HDN) held a Roundtable Discussion entitled, “15 Years of Research and Advocacy on Human Development in the Philippines”, last October 6, Tuesday, 1:00 to 5:30 pm, at the Mercedes Concepcion Seminar Room of the Philippine Social Science Center. The Human Development Network held its 2009 General Assembly last July 29, 2009, from 4:00pm- 7:30pm at the UP School of Economics Macapagal Hall. The Human Development Network together with the United Nations Development Programme (UNDP), the New Zealand Agency for International Assistance (NZAID), the Philippine Institute for Development Studies (PIDS) and the Civil Service Commission (CSC) recently held the Mindanao launch of the 2008/2009 Philippine Human Development Report (PHDR) entitled, “Institutions, Politics and Human Development in the Philippines” last June 18, 2009 in Grand Men Seng Hotel, Davao City. 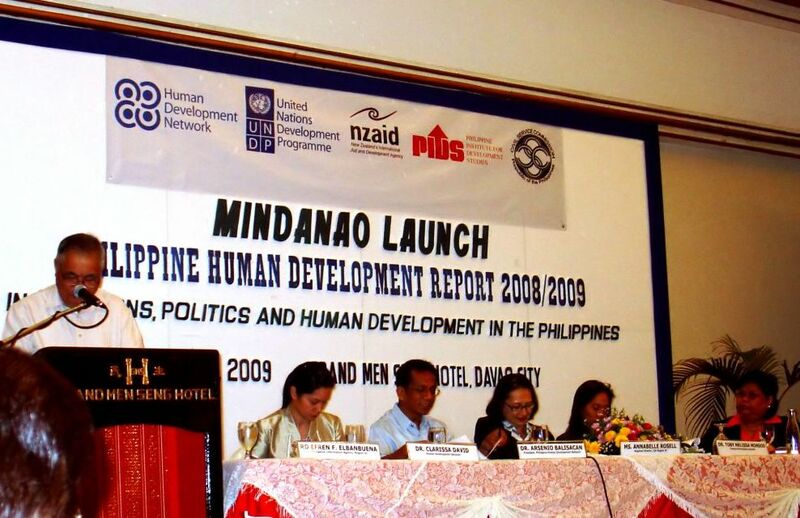 The Philippine Human Development Network (HDN), in collaboration with the United Nations Development Programme (UNDP), the New Zealand Agency for International Assistance (NZAID) and the Philippine Institute for Development Studies (PIDS), launches the 2008/09 Philippine Human Development Report (PHDR) with the theme “Institutions, Politics and Human Development in the Philippines” on 20 May 2009 at Crowne Plaza Galleria Manila Hotel. To view and download the report, click here. GRP-Moro Conflict: Is There An End in Sight? More videos from the forum. The Human Development Network is one of the recipients of the prestigious Outstanding Research Award for its work on the Philippine Human Development Report (PHDR) Series. The recognition was conferred by the Department of Science and Technology as part of its golden jubilee celebration at the 50 Men and Women of Science Awarding Ceremony on August 27, 2008 held at the Centennial Hall of the Manila Hotel. The PHDR Series was cited as one of the country’s most significant contributions to science and technology over the last 50 years, distinguished for its reputation for factual, insightful, and well-written analyses of human development issues in the Philippines. Click here to find out more about the Philippine Human Development Reports. The 2005 Philippine Human Development Report (PHDR) with its theme Peace, Human Security and Human Development is a recipient of the 2007 Outstanding Book Award for the Social Sciences conferred by the National Academy of Science and Technology (NAST). The award was accepted by Dr. Emmanuel S. De Dios, Atty. Soliman Santos Jr., Toby Melissa C. Monsod, authors of the 2005 PHDR, and Dr. Arsenio M. Balisacan, President of HDN, during the 29th NAST Annual Scientific Meeting on July 12, 2007 at the Manila Hotel. The prestigious NAST awards, given annually, recognize the outstanding achievements and contributions of Filipino scientists and institutions in the physical and social sciences. These awards also include the Third World Academy of Sciences (TWAS) Prize for Young Scientists in the Philippines, Outstanding Young Scientist, NAST Talent Search for Young Scientists, NAST-Hugh Greenwood Environmental Science Award, Outstanding Monograph and Outstanding Scientific Paper. Click here to read the 2005 PHDR.